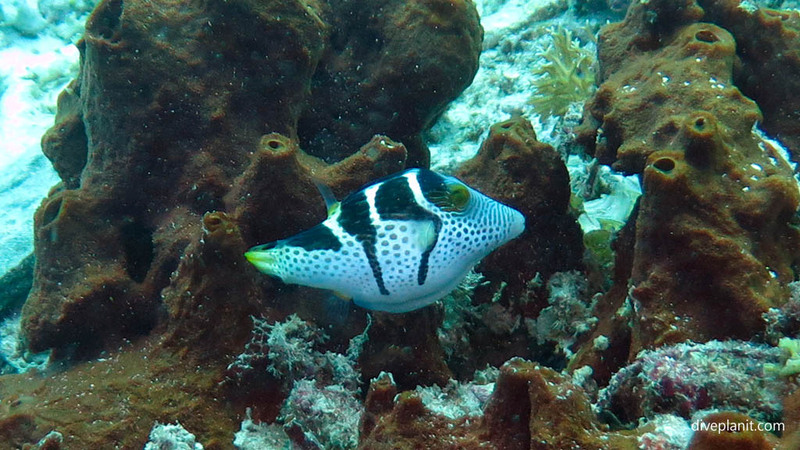 Meno Wall has lots of nooks and crannies with schools of big eye but also a great variety of the mid-sized reef fish. The ‘Wall’ part of Meno Wall is only a small part of the dive site, there are plenty of coral bommies and some sandy areas. 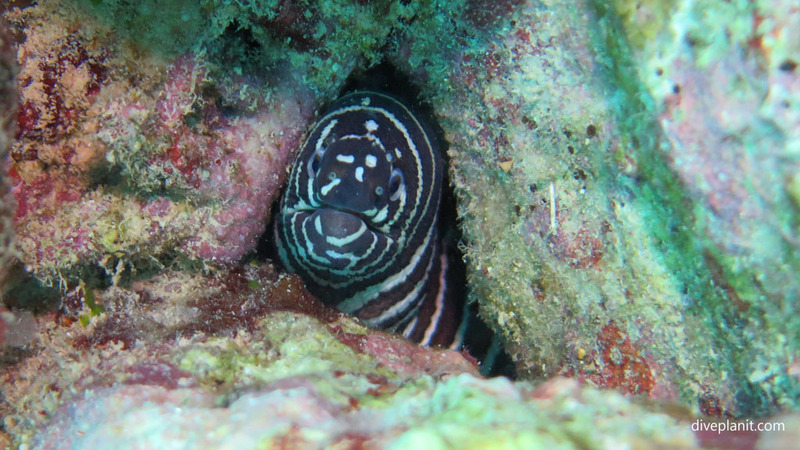 Every Wall has its moray and Meno Wall is no exception. Walls provide plenty of sheltered spots, just the sort of place where you might find a quiet little cleaning station. 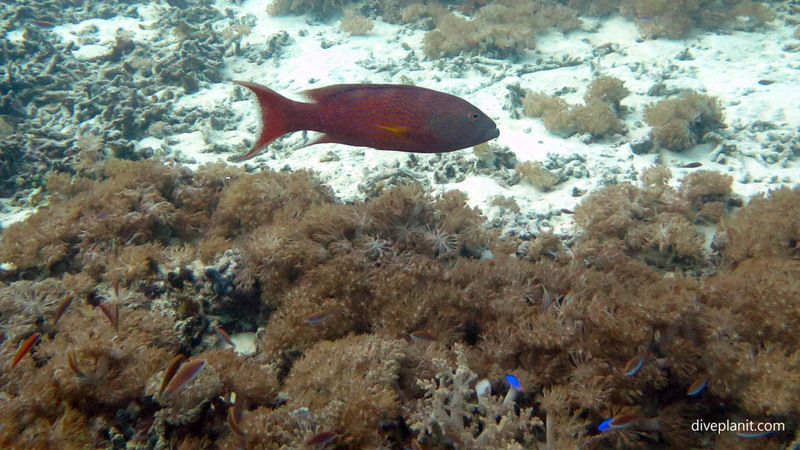 On the flats above and below the Wall, there were a great many solitary fish including this unimaginatively named Orange-blotch-surgeon. 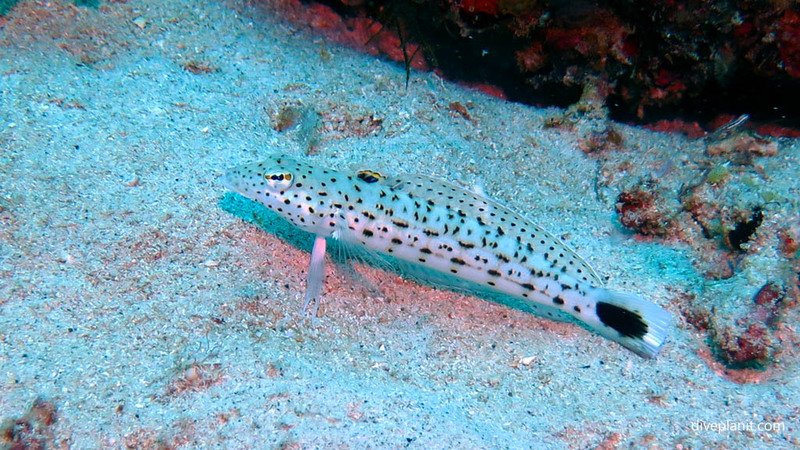 Another solitary lyre tail Rockcod comes drifting through. 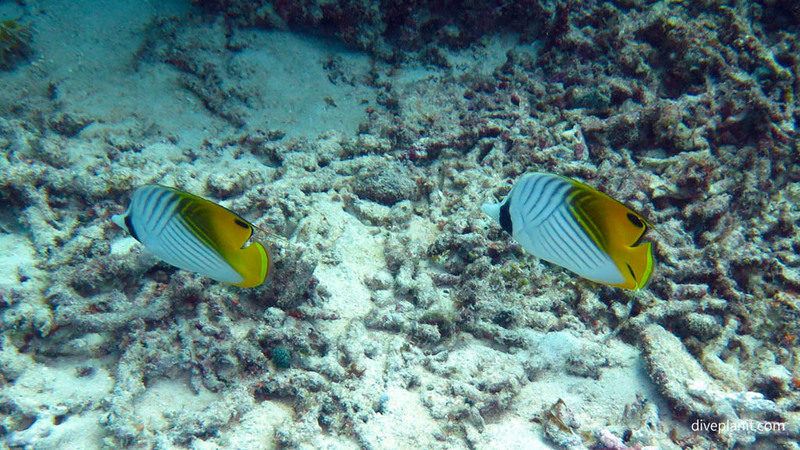 And a pair of Threadfin butterflyfish pass by. 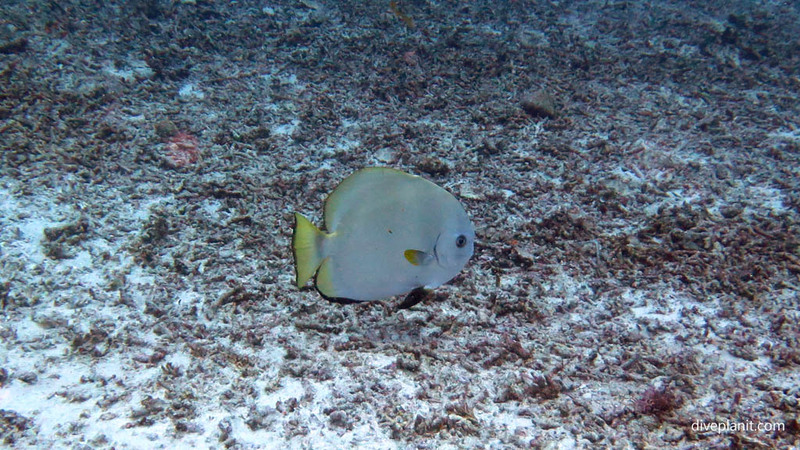 A shortfin batfish hangs around for a while; they are either inquisitive or simply not scared of divers. 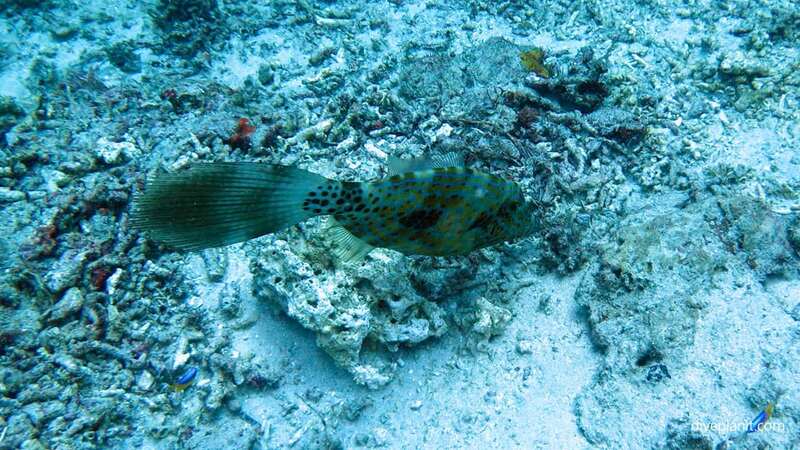 This scrawled filefish ran into me by accident and darted off as soon as he realised what I was. Meno Wall is one of those places where you don’t have to go far to find lots of stuff – the more you look, the more you find. 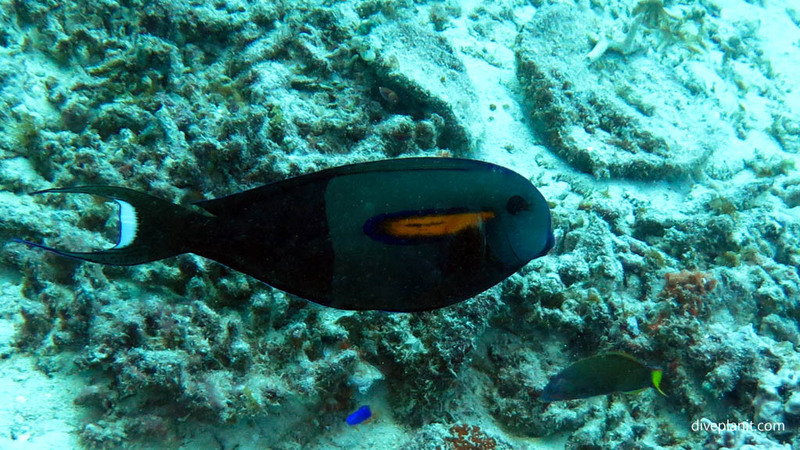 This black saddle toby spends most of his time quietly hiding in the sponges. 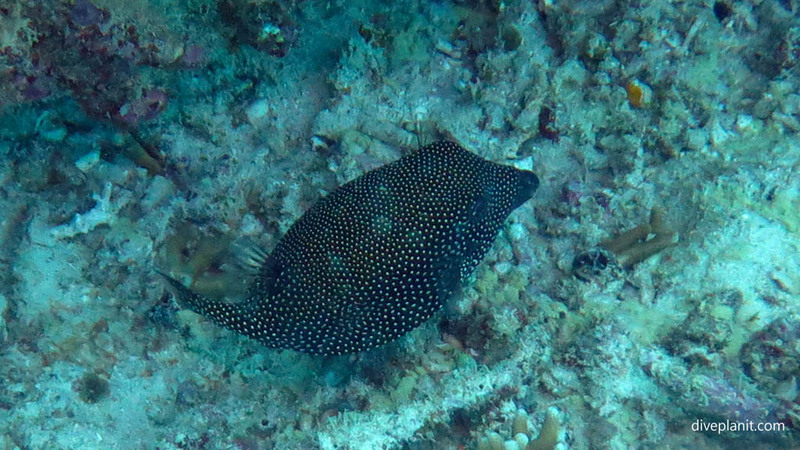 Likewise this black boxfish was just biding his time under a ledge. Looking across what appears to be the empty sand, you find that there are grubfish everywhere, quietly watching and waiting. 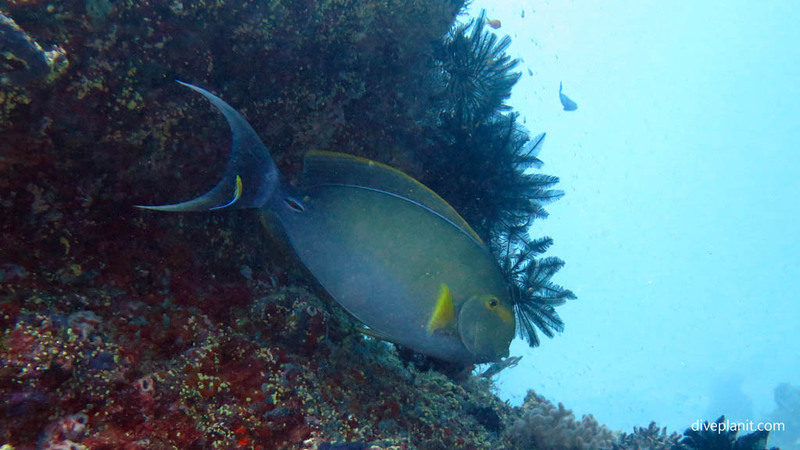 We dived Meno Wall, Gili Islands, Lombok with 7Seas Dive Gili, Gili Air, Lombok Indonesia.